American actress best known for her role as Hayley Shanowski in ABC series Hope & Faith. Her performance made her a two-time Young Artist Award nominee. Before landing her most prominent role, she was cast in two pilots that did not get picked up: The (Mis)Adventures of Fiona Plum and House Blend. 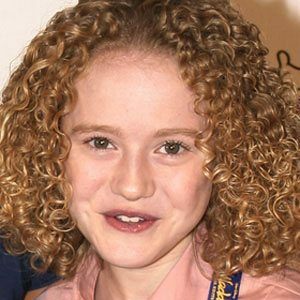 She appeared in the TV film Come Away Home as Holly in 2005. Her sister, Bailey, is a successful singer. She played Angus T. Jones's TV girlfriend in a four episode arc of Two and a Half Men.